Both of those books, along with the FAR/AIM guide are all you really need (and more) to pass the exam. I agree though, they can be a bit heavy. In my ground school we are primarily using these two books. 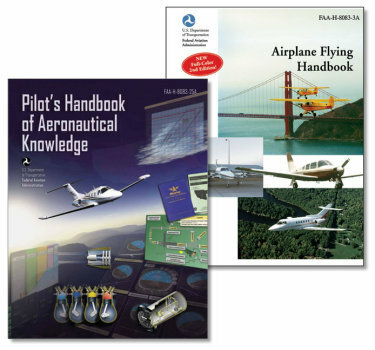 The Complete Private Pilot http://www.mypilotstore.com/MyPilotStore/sep/587 and the ASA Private Pilot Test Prep Book http://www.mypilotstore.com/mypilotstore/sep/599. About $35 for both. The ASA Private Pilot Test Prep Book also contains the FAA supplemental guide I mentioned in my last post. These books follow all of the main topics of the knowledge test. I’ve found them incredibly helpful. Thanks, Ron! Those are great suggestions and I’ve been beginning to think about buying test prep books and there are so many out there.